These days I get out of London to visit the rest of the UK sadly far less often than I would like to, something I decided to put right in the New Year. 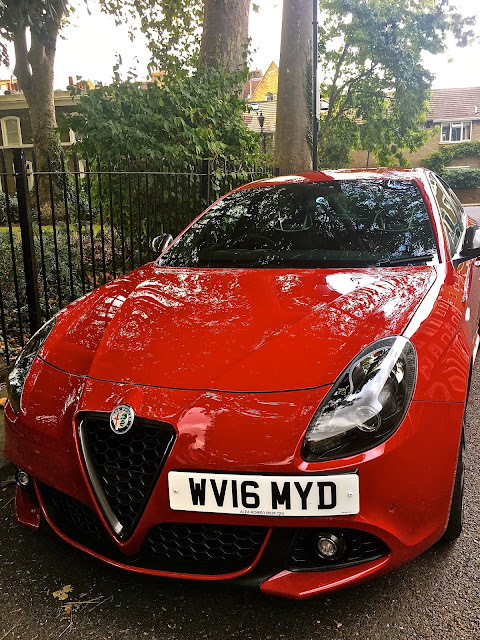 But recently when the good people at Alfa Romeo offered me the chance to test out their new Alfa Romeo Giulietta to drive anywhere I wished in the country, it was not hard to decide on a trip to the Unesco World Heritage city of Bath. 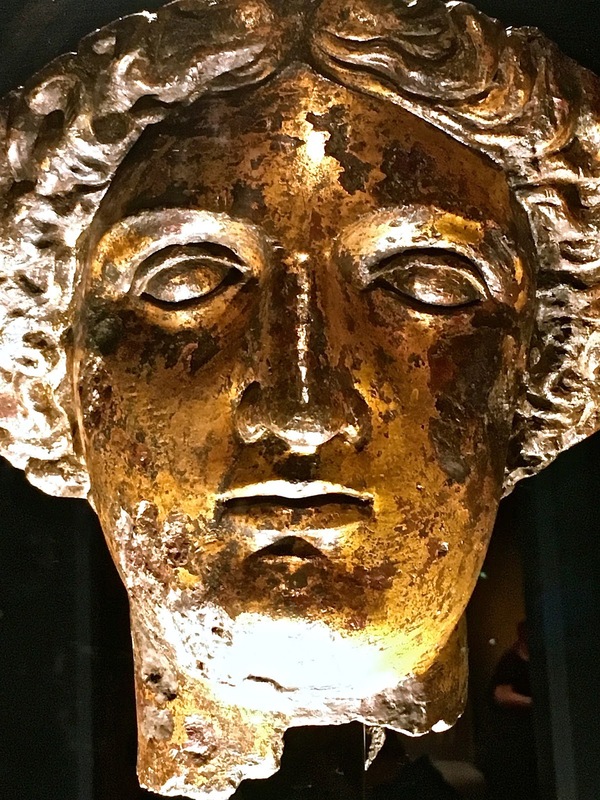 With stunning Georgian architecture, impressive Roman remains, and of course the natural (and rumoured medicinal) thermal springs that drew in the crowds in days gone by, the city of Bath, or Aquae Sulis as it was known in Roman times, has much to offer in terms of history and things to see. Bath is also home to the fabulous Gainsborough Bath Spa, a YTL property I have been dying to visit since its opening in 2015. Readers of this blog will know that I am a huge fan of YTL collection of hotels, which I visited at various locations in Malaysia and Thailand, including Pangkor Laut, the Majestic Hotel Kuala Lumpur, Cameron Highlands Resort, and The Surin Phuket, reviewed here. And so one Autumnal afternoon, we packed our bags into the Giulietta and set off for a couple of days in the spa town of Bath. Opened in 2015, The Gainsborough Bath Spa is a member of the prestigious Leading Hotels of the World collection, and is the first UK property opened by Malaysia's luxury YTL Group. Situated in the heart of the historic town and just metres away from the main shopping street, the hotel is formed from three interlinking Classical-style buildings that were originally the Royal Bath United Hospital, built in 1826. The Gainsborough Bath Spa is at the same time steeped in history and unapologetically modern. A painstaking restoration over several years included the creation of 99 bedrooms and suites, a restaurant, cocktail bar and a spa situated in a modern indoor central court which houses 1,300 square metres of natural thermal pools. The public rooms on the ground floor include a striking sitting room, the Canvas Room, where afternoon tea and drinks are served. Opposite the restaurant on the ground floor is the cocktail bar – here, mixologists will create bespoke cocktails based on the approach of Bath’s historical apothecaries who developed personal treatments for each patient’s unique physiology. All the bedrooms and suites combine period details from the hotel's past history as a hospital (note for example that the windows are set high to avoid prying eyes), but with luxurious contemporary touches. Our room was huge, with incredibly high ceilings, massive windows and gorgeous curtains. The bed was tall, and what a pleasure it was to lie on – the sheets were fresh and taut; I have seldom slept so well. All the expected 5-star luxuries were provided – for instance the heated marble bathroom floors, the Asprey toiletries and the Nespresso coffee maker were much appreciated. I loved being in our room, it was elegantly designed and a pleasure to return to after a day’s sightseeing. The Gainsborough Bath Spa has various naturally heated thermal pools, a fully equipped gym, a steam room, sauna and a spa complex, more details on these in What to Do section below. At the time of our stay, all guests who booked online directly with the hotel were greeted with a complimentary bottle of Billecart Salmon Champagne, and ours was waiting on ice when we arrived in our room. Breakfast at The Gainsborough Bath Spa was excellent, with a comprehensive menu of teas and coffees, and a buffet of fresh fruit, juices, cereals, croissants and patisserie. There were various cooked options too, and I could not help but order the full English breakfast on my first morning and followed by the Eggs Benedict on the second, which were beautifully cooked with a runny yolk and a hollandaise sauce with just enough acidity to cut through the creamy butter. Service at The Gainsborough Bath Spa was personable, with such care and attention that gave us the feeling that we were being looked after - the staff addressed us by name from the moment we walked through the door. This seemed reflective of a philosophy of providing care, treatment and well-being, much more akin to a luxury spa than a hotel, which made for an incredible and memorable stay. Head Chef, Daniel Moon, has devised a 6-course tasting menu which has been served since October 2016, and it was this menu, priced at £60 per person, which we opted for. The dining room is elegant, with butterscotch coloured leather seats, parquet floors and high ceilings. There is a central refrigerated wine cellar with glass doors front and back, and the walls are adorned with artwork by graduates from the nearby Bath School of Art and Design. Our meal started with a smoked ballotine of Var salmon (a top quality farmed salmon from Faroe Island), with horseradish potato mousseline, apple and fennel. 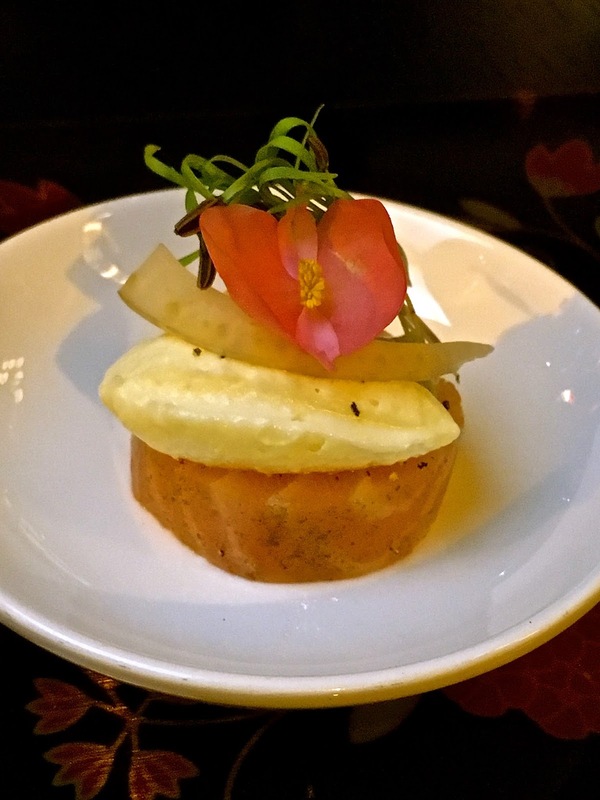 Dramatically served with aromatic wood smoke inside a glass dome, the salmon was indeed excellent, and well partnered with the acidity and crunch provided by the raw apple. 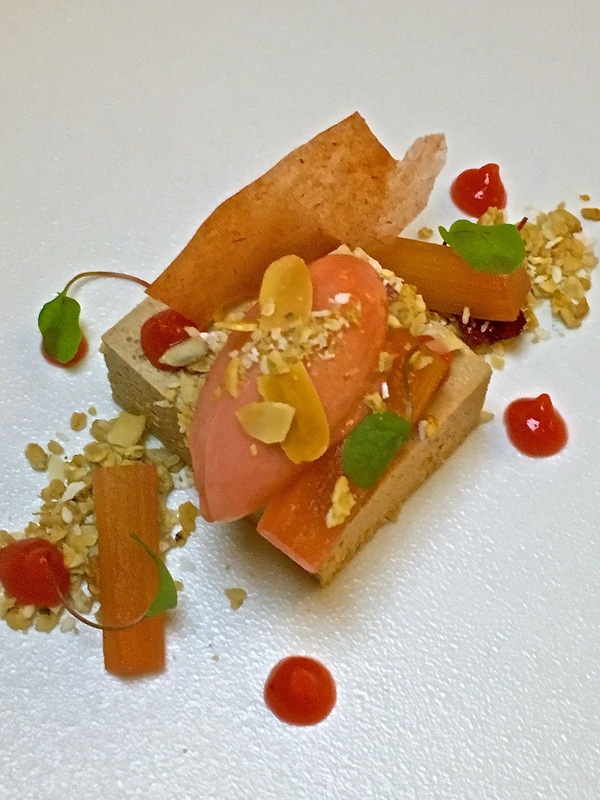 The chicken liver parfait was unctuously creamy, lifted by the accompanying lightly tart rhubarb sorbet, sorrel and almond granola. Better still was the wild mushroom risotto. 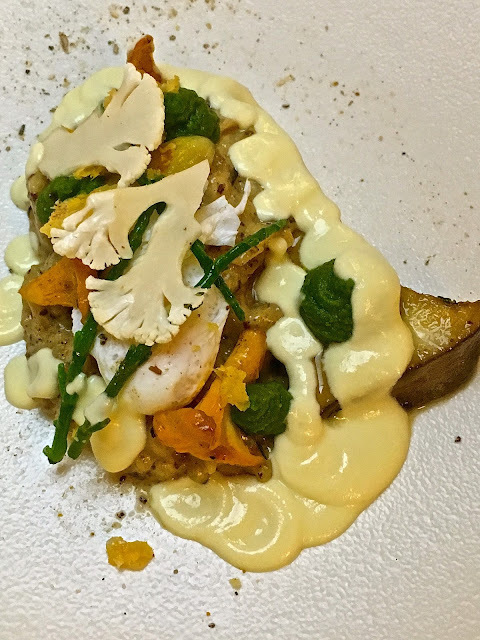 A brilliantly conceived dish with girolle mushrooms, parsley puree, shavings of pickled cauliflower as well as cauliflower veloute, and whole cloves of sweet caramelised garlic, all topped with a poached quail's egg and Parmesan crackling – heavenly. To accompany our starters we chose a few wines by the glass from the house list, starting with a Sauvignon Blanc, Chateau de la Roche, from the Loire (£25 per bottle). This had ripe green fruit and citrus aromas, with a delicate finish. As a fish course, we had a meaty salted scallop, with king prawn, tomato water, yuzu puree, 'caviar', and pickled radish. I particularly enjoyed the caviar, made from spherified yuzu juice. A technically highly accomplished dish, I enjoyed the freshness of it and the different layers of flavour and texture, a highlight of our dinner. With our fish main, we opted for the Picpoul de Pinet, from La Cote Flamenc 2014, Languedoc-Rousillon (£23 per bottle) a medium-bodied dry white wine, with citrus and tropical fruits, and a fresh clean finish. The main course was roast Creedy Carver duck, served with a confit duck leg spring roll, bok choi, mooli, plum, and black and white sesame seeds. 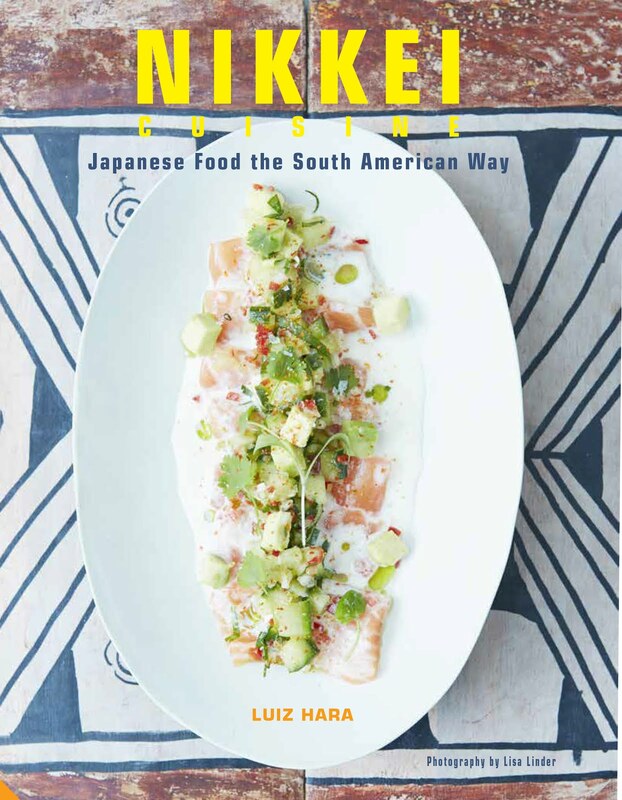 The restaurant is known for its eclectic flavour combinations, and this was a really thought-provoking elision of East and West. We also ordered a couple of glasses of red wine – the Tempranillo Garnacha, Gran Ducay Gran Reserva 2007, Carinena, Spain (£24 per bottle) had aromas and flavours of ripe blackberry fruits and vanilla, with well integrated tannins and a long finish. While the Malbec de Hospitalet 2014, Languedoc, France (£26 per bottle) had a powerful nose of blackcurrant and spice, with a long and complex finish. 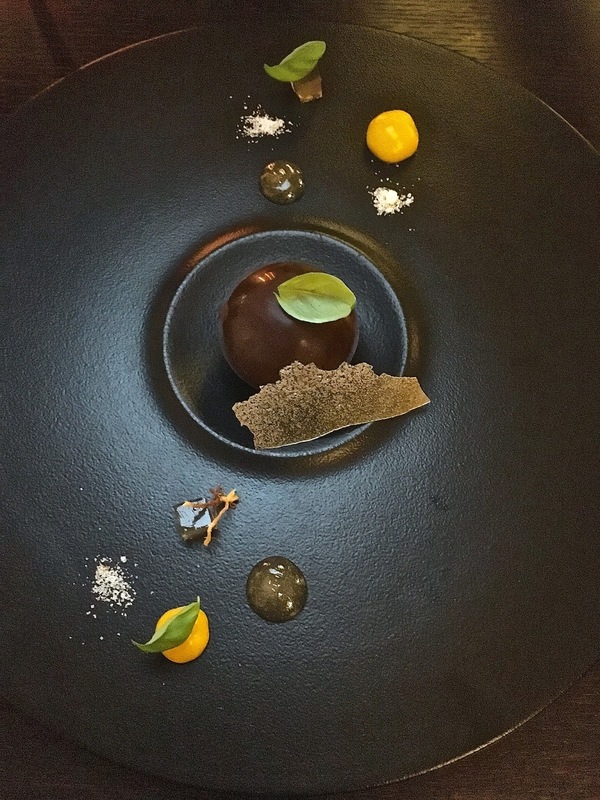 Dessert was just as good as the preceding dishes - with a glossy Valhrona chocolate dome, cleverly concealing an interior filled with different flavours, textures and even temperatures ranging from hot to frozen, this ended our meal on a very high note. Daniel Moon is, judging by our dinner, a highly talented, creative and technically accomplished chef. 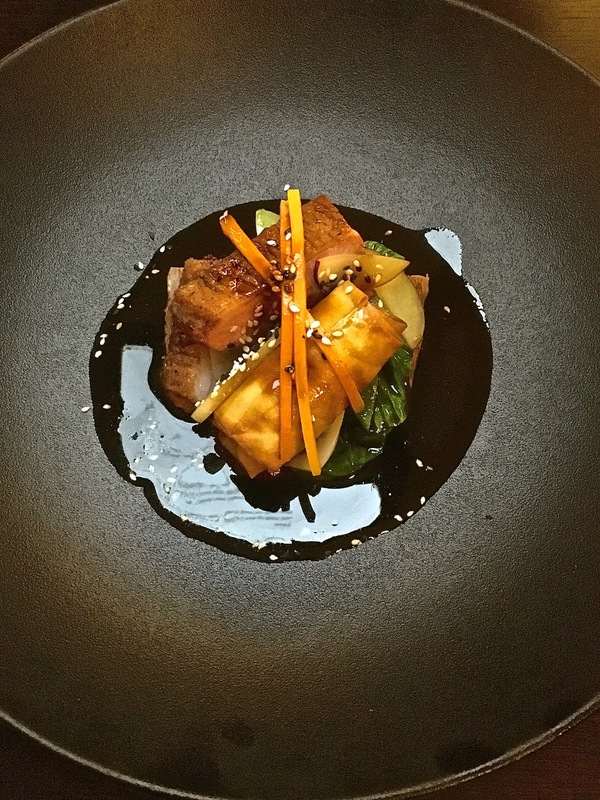 His 6-course tasting menu at £60 per person represents outstandingly good value for money and warrants a visit to The Gainsborough Bath Spa on its own right. 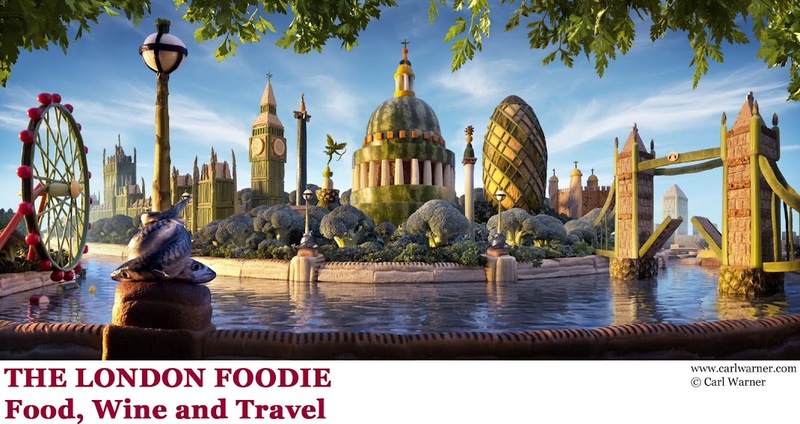 It makes for a perfect dinner, bed and breakfast get away from London, I would say! The Gainsborough Bath Spa has the exclusive privilege of having access to one of the City’s natural hot springs, the Hetling Spring, that supplies mineral rich, naturally heated water to the hotel’s thermal pools. The Bath House experience at The Gainsborough Bath Spa is complimentary for guests, and enables them to 'take the waters' in luxury. We took a self-guided circuit that included dipping in two natural pools of varying temperatures, then a traditional or and infrared sauna, a steam room, an ice alcove and elegant relaxation areas. To finish, there is a wonderful soak in a large pool bathed in natural light from the four-storey glass atrium. Although it looks timeless and serene, there are some nifty gadgets concealed within the pool that allow guests to turn on powerful jets of water for a neck, shoulder or back massage in the thermal waters. Unsurprisingly given its Asian origins, the YTL group hotel also offers a selection of relaxing massages and treatments. I tried their 90-minute Ginger Renewal treatment, which was utterly blissful and energising. Beyond the hotel, there is easily enough to fill a few days of wandering and exploring. In the city of Bath itself, the Roman Bath, where I spent a couple of hours learning all about the city’s fascinating Roman history, the Bath Abbey, the Assembly and Pump Rooms are all worth a visit. During the Georgian period, Bath saw the construction of a series of elegant terraces hugging the contours of the surrounding hills, interspersed with parks and gardens, known as the famous Crescents of Bath. Today, the upper town of Bath has a number of these terraced Crescents in perfect condition dating from this period, and at the very least, visitors should have a look at Queen Square, the Parades, the Circus and the Crescent. 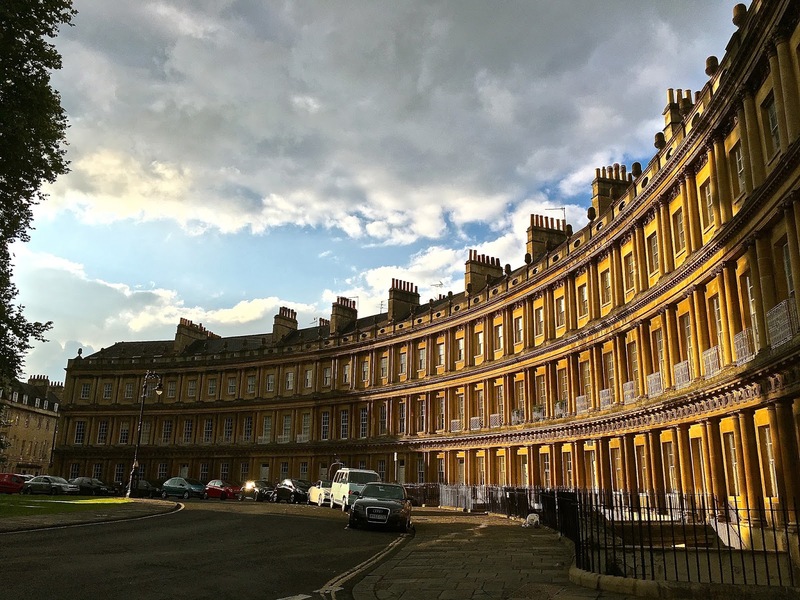 Number One, The Royal Crescent was the first house built in the world-famous Royal Crescent between 1776 and 1796. This fascinating house has been restored back to how it was when it was newly constructed. The free tour there gives a fascinating glimpse of life in those days, both from the perspective of the wealthy owners and the poor servants (the kitchen was the most interesting room in the house, no doubt) who kept the place running at a time long before modern appliances and conveniences. The surrounding countryside is also full of interest, with the gorgeous villages of the Cotswolds, as well as Longleat House, the stately home and seat of the Marquess of Bath. Rooms cost from £215 per night, not including breakfast. There is a range of special offers on the website including dinner bed and breakfast options available from Sunday to Thursday, and four nights for price of three. From London, the easiest way to arrive at Bath is by taking one of the frequent First Great Western trains from Paddington. They travel direct to Bath Spa, taking around 80 minutes. The hotel offers a pre-bookable shuttle service from Bath Spa train station to the hotel, at a cost of £10 per journey. Thanks to Alfa Romeo for loaning me a lovely Giulietta for my trip to Bath. For more information on the Alfa Romeo Giulietta, visit their website here.